Provide comfort for the family of Gene Vrooman with a meaningful gesture of sympathy. 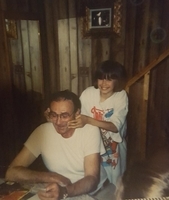 Gene Paul Vrooman Sr. 85 of Princetown, N.Y. passed away peacefully in his home on April 2nd 2019 after a long illness. There will be a private service held for the family on April 13th 2019. Gene Sr. was born on January 2nd 1934 to Edgar and Stella Vrooman. Gene attended school, where he later on worked at G.E. for several years before going into the construction field. He enjoyed spending time outdoors in the sunshine, picnics, going for walks, getting 'fun buns' (a buttered hard roll), and spending time with his family. Gene Sr. was also an active member of the Noah Masonic Lodge in Altamont, N.Y. for most of his life. 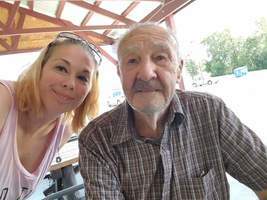 Gene Sr. Is survived by his sister Lynn and his sons Gene Jr. (Rebecca), Jeffrey (Marites), Brian and Brent (Leah), daughters, Sharon Vrooman, Joy Vrooman, Peggy Vrooman and Dove Marshal. He is also survived by his grandchildren; Nikia, Barbara, Dennis, Brandon, Jacob, Dalton, Greyson, Lily, and many great grandchildren. Gene Sr. Is preceded in death by his brother Edward, Gordon, and his daughter Sharon. The family of Gene Paul Vrooman Sr. Would like to thank everyone for their continued support, and the abundant amount of love shared with the family during this time. Provide comfort for the family of Gene P. Vrooman Sr. by sending flowers.